Question: I have a single phase 120/240 100amp service. I want to run another circuit to a shed. I'm looking to see if I have space in my panel board for this. Since there are 2 phases coming in can I put 100 amps on each side of the panel? Is that how that works? And a double pole 40A breaker only counts as 40A correct? Not 80? So minus the dryer and range (2P 30A & 40A) I can add 130A worth of circuits in my panel board and still be ok with my service correct? And if I run a 30A 240V service to the shed and put a sub panel out there I can add 4 120V circuits correct? I understand the logic you are using to total up your total load on the panel. It make tons of sense but the total load is not just the sum of all the breakers in the panel. I think you should hire someone to do this work for you for safety reason. 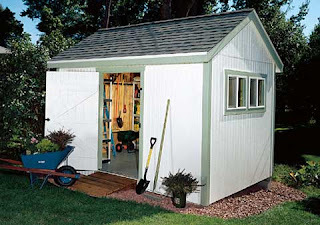 You should have plenty of power to a shed onto main panel. That is if you will only be using basic electrical devices. You putting together a machine shop are you? What you have to remember is you are not using everything at one time. If you are in the shed you are not using electric some where else. There are many thing in your home that just do not go on at the same time. That is why you can't just add breakers.